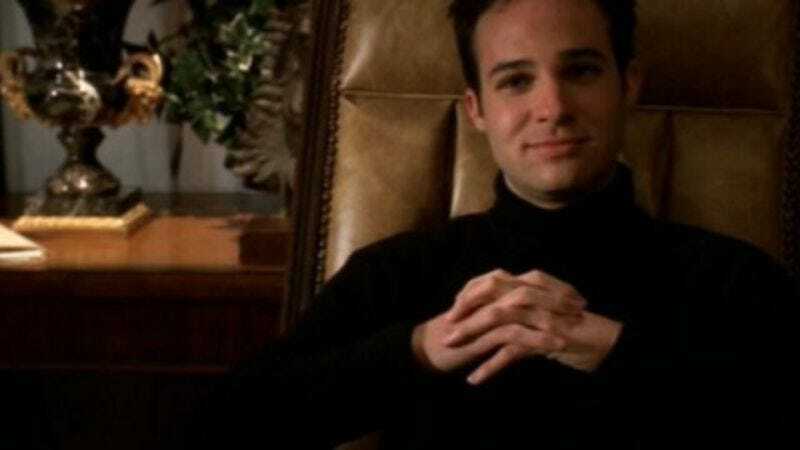 Danny Strong will write Guys And Dolls remake, in continued attempt to get us to stop calling him "Jonathan from Buffy"
It’s getting harder and harder to refer to Danny Strong as “Jonathan from Buffy” while he keeps racking up noteworthy credits in his award-winning writing career. Besides recently landing the screenplay for Mockingjay, the final installment in the successful (to put it mildly) Hunger Games series, as well as a CBS pilot and a Da Vinci Code sequel, Strong is also now attached to write the script for Fox’s recently announced Guys And Dolls remake. The Broadway musical staple—based on Damon Runyon’s short stories about New York gamblers and the showgirls and missionaries who love them—was last seen on screen in 1955, with Marlon Brando in an uncharacteristic singing role as Sky Masterson, and Frank Sinatra in a completely characteristic singing role as Nathan Detroit. Joseph Gordon-Levitt and Channing Tatum were previously mentioned as possible successors to those parts (although Gordon-Levitt is clearly more of a Nathan and Tatum more of a Sky, c’mon). Danny Strong’s hiring is cited as the “first real creative momentum” on a project that’s stalled several times over the years, suggesting that Jonathan’s real-life writing powers have now officially surpassed his supernatural ones.